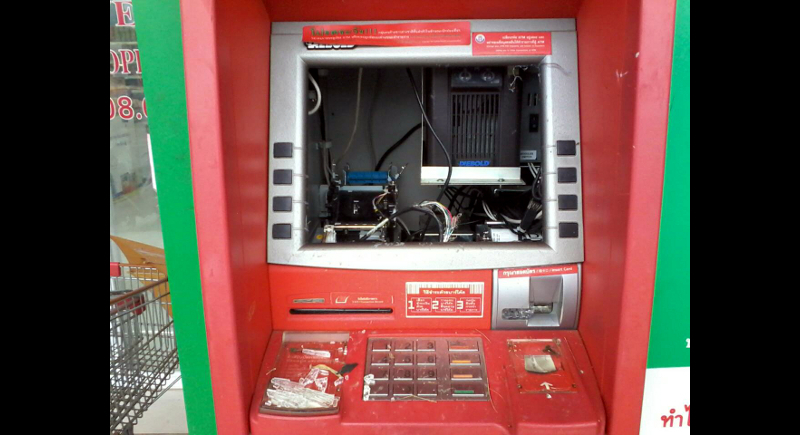 PHUKET: A 22-year-old man from Krabi has been arrested for attempting to break open an ATM in Rawai by smashing the screen with a rock and then trying to pry open the cash-vending machine with a wrench. Chalong police arrested Sompol Gaykina, 22, at his rented room behind Muang Phuket School in Rawai, at 10:30am yesterday (August 3). 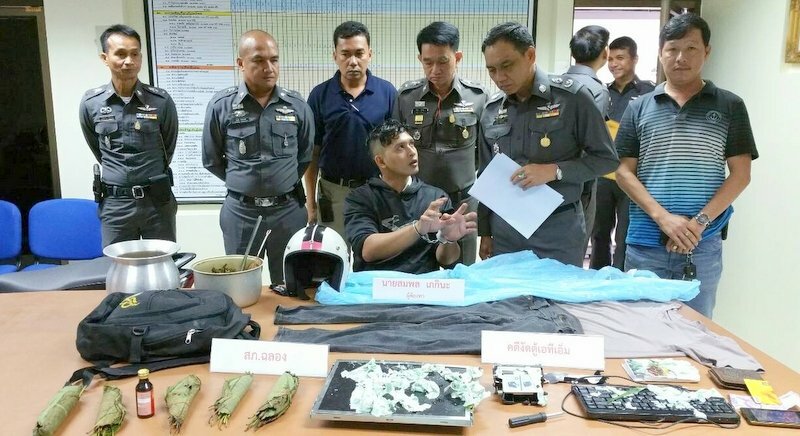 In making the arrest, officers seized as evidence his motorbike, raincoat, the offending wrench, five bundles of kratom leaves and one bottle of cough syrup. 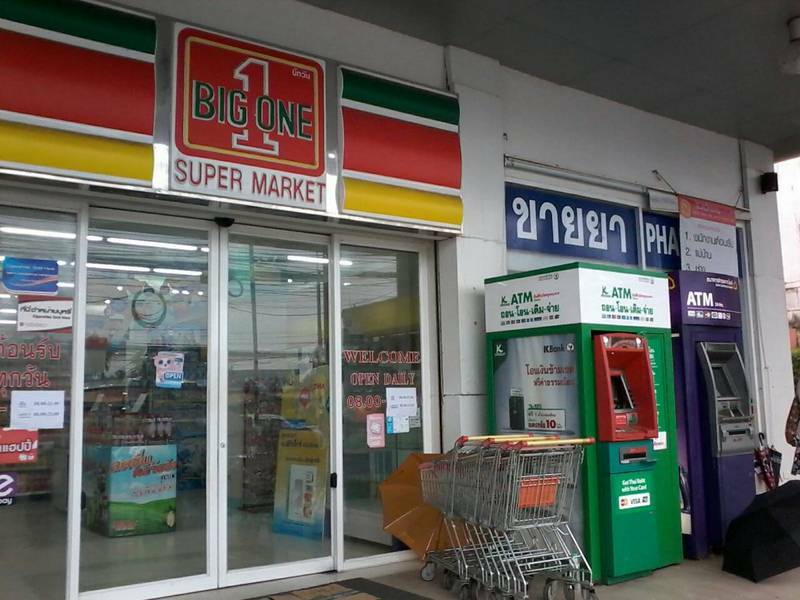 Maj Patiwat Yodkhawn of the Chalong police was called to investigate suspected robbery of the Kasikornbank (KBank) ATM located in front of Big One convenience store on Wiset Rd, south of Chalong Circle, at 7:30am yesterday. 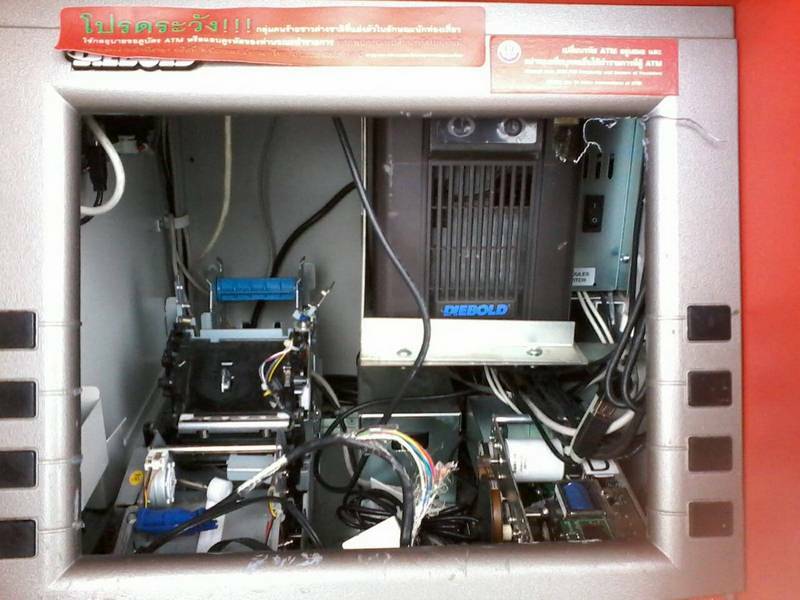 At the scene, he and fellow officers found the ATM had a broken screen and was no longer working. They also found a big rock nearby on the ground. The officers also collected fingerprints from the machine and saw the suspect on the security CCTV footage recorded at 4:12am. The footage showed the suspect wearing a raincoat and driving a Honda Wave motorbike to the ATM and smashing the screen with a rock. The suspect tried for more than 30 minutes to to break open the machine, before leaving empty handed. Two hours later Maj Patiwat arrested Sompol in his rented room behind the school. Sompol told police he had no job and was overdue to pay his rent. Sompol was taken to Chalong police station where he was charged with attempted robbery and illegal possession of Category 5 drug.